Lock in a great price for Häcker's Fürstenhof – rated 8.8 by recent guests! The spa! The pool! The breakfast! The comfortable room and bed! The politeness and support of the staff was excellent. They really tried to help wherever they could to make our stay with our 17 month old child more pleasurable. 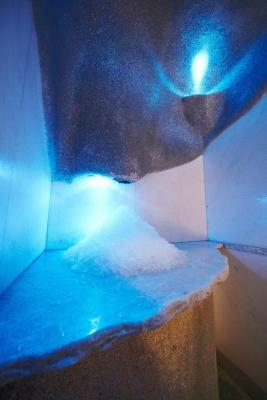 The personnel in the Spa area was really good and advised / treated us professionally. The property met my expectations for a relaxing weekend. The spa area was very clean and quiet. Great place for hiking and relaxing. The room was very big and clean, with everything one needs. The hotel offered valet parking. The personnel was extremely friendly and willing to help us (our dog collected a tick during a stroll in the woods and the people from the reception found immediately someone to help us removing the tick - since we have no experience with this). The breakfast was very good and the swimming pool was excellent. Frühstück war gut.Kaffee war für mich(Mann) zu dünn. Der Service beim Frühstück war teilweise etwas überfordert und das Rührei war miserabel! Ansonsten ist das Frühstück sehr reichhaltig und gut!! Der Wellnessbereich und das Frühstück waren super. Das Personal war freundlich und hilfsbereit. Gutes Restaurant. Häcker's Fürstenhof This rating is a reflection of how the property compares to the industry standard when it comes to price, facilities and services available. It's based on a self-evaluation by the property. Use this rating to help choose your stay! 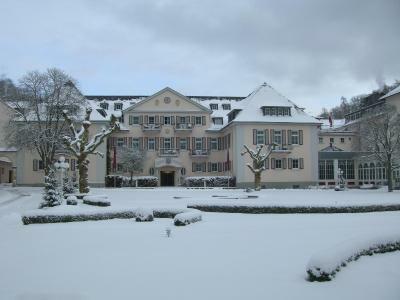 Peacefully located in the center of the spa resort of Bad Bertrich, this magnificent 5-star hotel features gourmet cuisine, excellent health facilities and its own 32ºC sodium sulfate bath. 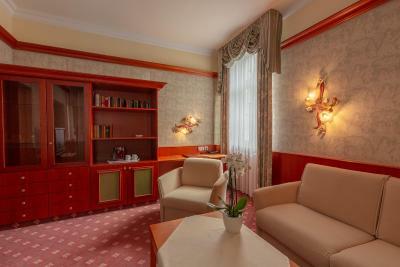 The Kurhotel Häcker's Fürstenhof provides stylish architecture, elegant interiors and a beautiful garden. The spacious rooms are regally designed and offer all modern amenities. 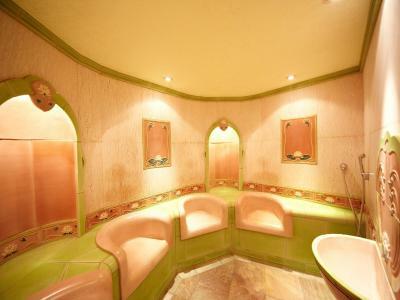 Relax in the Häcker's Fürstenhof's spa facilities which feature various saunas, steam rooms, hot tubs and a beauty farm. Dine in the à la carte restaurant and enjoy delicious snacks in the café-crêperie or on the terrace. Guests can choose from a wide selection of regional Baden cuisine or international dishes, including many healthy options. 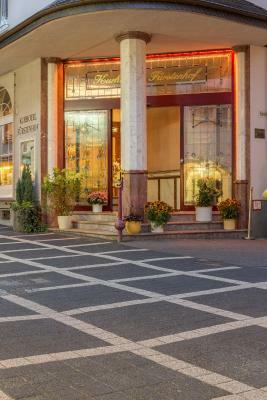 The Häcker's Fürstenhof is an ideal base for exploring the beautiful forested countryside of the Eifel region, and for taking day trips to the nearby cities of Koblenz and Trier. When would you like to stay at Häcker's Fürstenhof? This single room features a bathrobe, seating area and mini-bar. This double room has a bathrobe, seating area and mini-bar. House Rules Häcker's Fürstenhof takes special requests – add in the next step! Häcker&#39;s Fürstenhof accepts these cards and reserves the right to temporarily hold an amount prior to arrival. Häcker's Fürstenhof accepts these cards and reserves the right to temporarily hold an amount prior to arrival. Please note that arriving guests may contact the property for directions to property. The location...while tranquil, there is limited choice in dining venues. Therefore, the choices available are very expensive. The hotel is located in a small village, it is an old fashion, outdated hotel, but, with a very nice personnel, we were always helped and they were very kind. Overpriced! not only the rooms but also the prices in the restaurant, 1 coffee for 4 euros! We did have dinner in the restaurant, I ordered a kind of a beef soup for 8 euros, it was disgusting! but the rest of the dinner tasted relatively ok. Its a 5 star hotel but we did not feel like in one! We went there for a family vacation with our children (1 and 4 years old), we were the youngest guests in the hotel. Most of the guests were old couples between 50 and 75 years old, not only in our hotel but in the entire village. We got the impression that the village was a vacation destination for old couples. We had to make sure that we were not too late with having dinner, as most restaurants closed around 8 o'clock in the evening. The streets were empty around 9 PM when we had to walk with our dog. Minor things: it was quite warm and the room did not had air conditioning; there was only one elevator that was very small; the hotel was last time renovated/improved a very long time ago (some minor improvements could make a big difference).